When I launched my RIA in 2012, I was completely overwhelmed by the prospect of being a solo firm owner. I went from being a junior planner, only responsible for working with clients, to being the financial planner, investment adviser, compliance officer, marketing guru, tech-fixer, and bookkeeper. In addition to wearing all of the hats, I was creating and implementing a process of providing financial planning services, and learning how to actually run the business. Even with all of this, my biggest fear was the investment management portion of the business. I had always worked in firms that had "investment experts", and I was strictly on the planning side of the house. The thought of having to "manage" investments, in addition to everything else, was overwhelming. BUT...it doesn't have to be! “What are my options for investment management?” is a really common question we hear at XYPN. Fortunately, as the profession and technology continue to progress, it's becoming easier than ever to introduce an investment management option for your firm that fits how you want to approach this with your clients. Here are some of the options available to you as new(er) firm owners. Type 1: Custodians that primarily work only with large advisors – These bigger custodians typically have advisor minimums upwards of $25 million in most cases. This list includes Schwab, Fidelity and Pershing. TD Ameritrade (which now includes Scottrade) is the major exception as they have partnered with XYPN to offer services to our members with no minimum and have shown a commitment to XY planners with the recent promotion of industry stalwart, Kate Healy to Managing Director, Generation Next, which supports the future of the profession through programs designed to raise visibility, provide support and resources to guide professional development of the next generation of advisors. As a new advisor, outside of TD, these custodians are simply not an option in most cases. Some will accept advisors below their minimums, but only with a significant platform fee (e.g., $10,000/year) and potentially consequences if various hurdles are not met. In fact, in a recent conversation with a sales rep for TD Ameritrade, they admitted that 9 out of 10 advisors that have less than $10 million AUM fail within a few years. While I personally think that the lack of support provided by the custodians isn’t helping, it is understandable why they are reluctant to bring on smaller RIA’s. Type 2: Custodians that specialize in smaller advisors – Two custodians have remained dedicated to newer startup RIAs: Shareholders Service Group (SSG) and TradePMR. Neither of these custodians have minimum advisor assets, and are likely your only other choices when starting an RIA. Familiarity – If you are coming out of an existing RIA, you are probably very family working in this environment and you may simply "default" to this solution. Plus, clients love seeing the the big brand names and knowing their money is safe with a solid institution. Control – DIY means DIY and advisors are notorius control freaks. Again, that's ok assuming you have the time and expertise to execute. Love It – Some advisors simply enjoy providing investment related services and prefer to provide the service to clients themselves. Cost – As stated above, some will require a platform fee if minimums are not met. They also require you to keep $1,000+ in your firm’s master account for various purposes. As a start-up, this is a tough pill to swallow. Performance reporting software – Providing performance reporting to clients can get really expensive. Orion, a popular choice for performance reporting software, has a minimum annual fee of $10,000/yr. Less expensive alternatives like Blueleaf or new entrant Capitect, can start at over $2,000/yr. 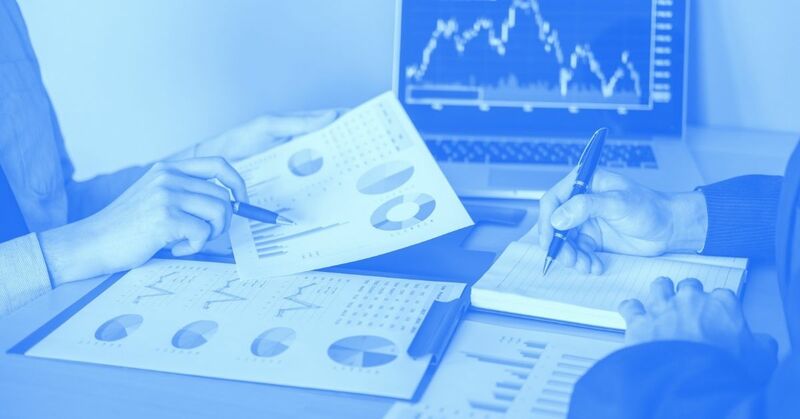 It is important to note that more and more advisors are opting OUT of performance reporting software initially and it's a common misconception that it is required for advisors. It's only required if you determine and put it in your ADV or other agreements. Analytics – Some advisors want analytic software such as Morningstar Advisor Workstation or Riskalyze. New on the scene is a slew of technology-based TAMPs (Turnkey Asset Management Platforms) that are bringing down the cost of outsourcing investment management services. TAMPs are designed to allow financial advisors to outsource all of the work that goes into managing investments. Many of these new entrants are leveraging the technology originally produced to bring investment management services to consumers at very low cost, and now developing platforms for advisors to better serve their clients. A tech-based TAMP can be one of the easiset and most cost effective ways to ease into investment management with your clients. As far as I know, all technology-based TAMP’s provide the same basic services including a rebalancing solution, reporting, billing, client portal, etc. XY Investment Solutions (XYIS) - Designed specifically for the unique needs of XYPN, XYIS partnered with RobustWealth to develop and end-to-end solution with the desired features of Gen X+Y advisors and clients. Accounts are reviewed daily for rebalancing opportunities so you don't have to and factor in risk premia associated with each trade. XYIS, while in the tech-based category is a nice blend of a traditional TAMP with many of the features of the new digitial only offerings. However, it is important to note that you do give up some control and while you can have your own models, it is a highly curated set of models built for the majority of XYPN members. Thus, if you are looking for the latest smart-beta or tactical option, you won't find it there. Betterment for Advisors – Based on technology from their sister company Betterment, this provides an advisor-facing solution to outsource investment management. You can elect to use their model portfolios, or build your own using their 12 preselected ETF’s. Accounts are rebalanced daily, with no transaction costs, and have built in tax-loss harvesting capabilities. All account opening and transfer paperwork is electronic, the client portal is super slick, and ultimately it allows you to get out of the day-to-day tasks that you don’t need to be a highly trained CFP to provide. Fees are 0.25% of AUM (plus the modest expense ratio of the underlying index ETFs), with no account or advisor minimums. The downside of Betterment for Advisors is that currently, you can’t ACAT in existing asset positions, meaning you need to sell all assets to cash before transferring to Betterment. Depending on your ideal client, this may or may not be an issue. B+ also doesn’t currently allow you to exclude assets from the model portfolios, so you aren’t able to hold cash or legacy assets. Why would you use one of these, or another, technology-based TAMP? Ultimately it is all about providing your clients with a cutting edge client experience, and outsourcing work that doesn’t bring clients a lot of tangible value. The new technology-based TAMPs in particular tend to have better client portals, and a more efficient (online-only) onboarding process for new clients and all the associated paperwork (which is handled electronically). The ultimate goal, with any of the above options, is allowing you to focus on what you love doing, and outsourcing the tasks that you don’t enjoy doing. I’m using the term “traditional” to differentiate from the newer technology-based TAMPs above. Every TAMP is structured differently, and provides a variety of services. For our purposes, think of the below of what to expect when working with a traditional, full-service option. Fee structure – There can be a lot of layers of fees, including custodial fees, trading fees, and underlying fund expenses, in addition to the fees to the TAMP itself. There might also be a la carte fees for services like performance reporting, billing, etc. Fees vary wildly, but most start at .35% of AUM and I have seen fees over 1% depending on services offered. Investment philosophy – If you are a big believer in DFA, you can find a TAMP that uses DFA funds. You will find TAMPs available to support a wide variety of investment philosophies including market timing, passive, tactical asset allocation, and everything in between. Additional services – TAMPs might provide an online portal for clients, assistance with filling out paperwork, performance reporting, and even para-planning services. Be sure you know what they offer, even if you won’t need it immediately. Minimums – Most TAMPs requirement asset minimums. They will likely have a minimum level of assets that the advisor brings over, minimum assets that each client has with the TAMP (at a household level), and a minimum account size as well (for each account within the household). Be sure you understand these minimums, and ensure they are in line with your typical/ideal client. Legal contracts – It is probably worth having an attorney review any contracts you sign with a TAMP. You want to be sure that you retain hire/fire rights when you partner with a TAMP, because they last thing you want is for your to fire your TAMP, only to have them contact all of your clients. Advisors who want to focus on financial planning and outsource the work that goes into investment management might prefer to partner with an RIA that is passionate about investments. We all have our passion, and while I’m in the “I love planning and hate investing” camp, there are a lot of “I love focusing on investments and hate doing planning” camps out there. Prominent NAPFA member Bob Maloney is an advisor that is passionate about financial planning, but isn’t interested in serving as his clients’ investment adviser. He has partnered with an RIA that only provides investment services, and completely outsources the service. This means that the client is contracted with two companies: one to provide financial planning and another to provide investment management. Clients pay Bob’s firm for financial planning, and the other RIA for investment management services. In addition, since both firms provide different services and aren’t competing, they are able to refer business back and forth. Note that Bob actually pays the investment firm a referral fee which is calculated as a percentage of revenue that Bob receives from clients, to send him financial planning clients. Bob doesn’t receive any referral fees for sending the investment company clients. Most incorrectly believe that organizations like NAPFA prohibit the paying of referral fees. NAPFA only restricts the acceptance of referral fees, not paying them, in order to avoid conflicts that would cause. They just don’t want their advisors to be incentivized to recommend one professional over another, and instead want the advisors to recommend the best professional for the client. If you prefer to simplify the relationship for your clients, you can contract with an investment management firm to provide services to your clients. There is some crossover with this type of agreement and working with a traditional TAMP. By contracting with an investment management firm, you would have your clients sign a 3-way agreement between the client, you, and the investment firm. As the financially planner that initially worked with the client, you would want to ensure that contracts state that you “own” the relationship meaning that you can fire the investment firm, and they wouldn’t be able to contact the client. With this type of relationship, you would typically oversee the work being performed by the investment manager, establish the clients’ goals which then dictates portfolio construction, and be responsible for client communication. The investment manager would then handle all of the investment management related tasks, such as account opening, transfers, research & analytics, performance reporting, billing, rebalancing, etc. Remember, you don’t have to manage money at all. Investment management can be a very time consuming and complex process (especially if you don’t use third-party platforms for support), so simply eliminating the service all together can help save you a ton of time and energy. It will also keep your E&O insurance rates low, since trading errors aren’t a risk, and that might save you quite a bit in your first year. They might not need investment management. If you work with younger clients, recent graduates, etc. then they might not have assets to manage, so it simply isn’t a service they need. Conflicts can arise in various situations. One example is if you work with a lot of military members or government employees with access to the TSP. Many would argue that those clients should keep their money in the TSP, while advisers managing investments have incentive to roll the money over to an IRA. Another example is the infamous conflict that fee-only advisors are accused of having, which is whether to have clients pay down debt or leave money in their investment accounts. When you don’t manage investments, you don’t benefit from the client making the decision to invest more and keep debt which can help keep the advisors unbiased and objective. Some advisors ultimately want to focus on providing financial planning services. While we will discussed some outsourced options, some advisors don’t want to manage these outsourced providers either, and prefer to keep their business model even simpler. You can simply direct clients to a low cost do-it-yourself custodian like Vanguard. Vanguard allows advisors to have view access to investment accounts (with clients permission of course), so you can see if clients have implemented your investment recommendations, though ultimately the control and responsibility is theirs. You can use a technology platform like Blueleaf or even your financial planning app with built-in account aggregation to gain view access to your client’s investment accounts. This way you can view their IRA’s, 401(k)s, checking and savings accounts, etc. Simply make recommendations as you see fit, and ask clients for statements on a regular basis (quarterly is likely preferred) so you can keep an eye on their accounts. Each group discussed has its pros and cons, but none of the options may be exactly right for your firm. From my experience, when an advisory firm hires a TAMP, they tend to outsource all of their investment-related tasks. For those choose who to work with a technology-based TAMP, many are also establishing a traditional custodial relationship (and splitting clients to each according to client needs and based on client account sizes). For example, when working with XYIS, you get the benefit of having TD Ameritrade Institutional as your custodian allowing you to work in both capacities if you so choose. It's true that by hiring a TAMP you are outsourcing a lot of the work that goes into managing money such as opening accounts, transferring assets, rebalancing, creating/implementing model portfolios, etc. However, I believe that if a computer system can easily do the task, then it isn’t really worth a lot. It doesn’t matter if you help a client beat the market year after year, if during a down market they go to cash. As advisors, we are between clients and their money. We are between clients and doing something really dumb that will ultimately mean they can’t meet their financial goals. How much is that service worth? 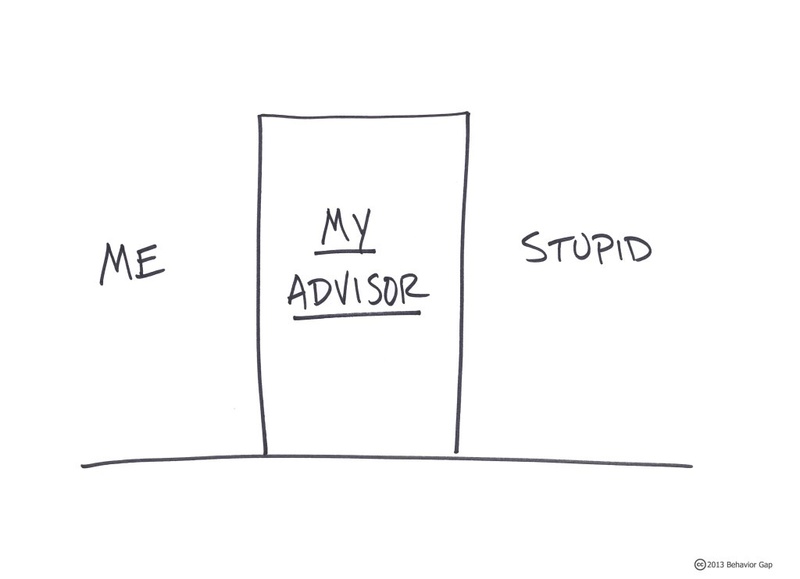 In my opinion, a whole lot more than what most advisors charge.